Our roof is now approaching 60 years old and has suffered many leaks in recent years. to reduce heating bills and add sound insulation to the ceiling to improve the acoustics in the Main Hall. events such as TarpFest to complete the project which is expected to be carried out over 6 weeks in Summer 2020. For further information please see our publicity flyer. Following the launch of our ‘Raise the Roof' Appeal - we now have a Just Giving page. So far, we have received donations of £220 - so that's 22 tiles bought - only 7,228 to go! 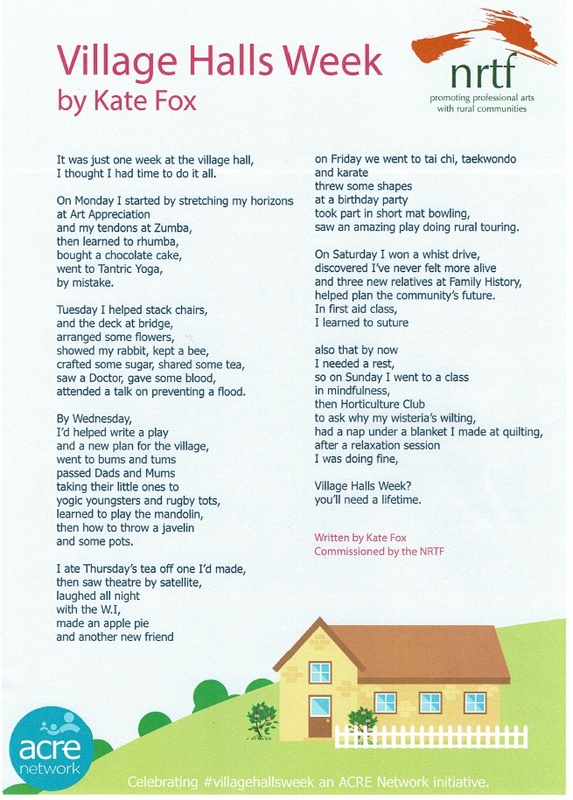 This is the official website for Tarporley & District Community Centre. 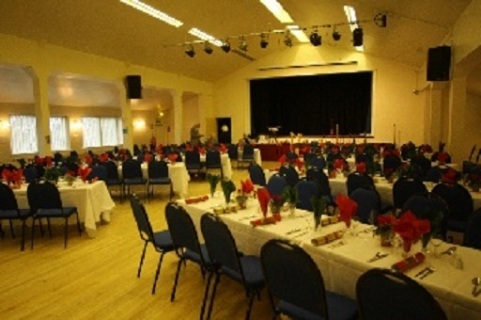 reserve the room, Prices start at £7/hr and rise to £20 for the main hall. rooms all equipped with ample kitchen and toilet facilities. complies with current legislative requirements. Nearly all income is derived from room and field booking fees. Follow us on FaceBook . . . .
New / regular user ? Considering a Bouncy Castle ? is one of the local causes you may choose to support. Please open this link to make your choice. appeared in the car park especially around the turning area. We are looking into repairing the surface and will post further updates. showing signs of deterioration caused by inappropriate footwear. either studded sports shoes or badly worn stiletto heels. by not allowing inappropriate footwear at your event. which can be accessed by any member of the public on dialling 999.
of the Centre and is illuminated by a light from dusk to dawn. The cabinet is internally heated to keep the kit in working order. parking spaces in the car park when attending events at TCC. we will issue a limited number of day and annual parking permits. Community Centre field for use by the local community. who are already investigating the incident. Tarporley Community Centre has been successful in being chosen as one of the Co-Ops Local Fund charities for the coming year. This money is going to be used to further improve the Audio System and Acoustics of the Community Centres Main Hall. also been installed and we will be installing more tiles once we have replaced our roof, which is our next major project. other local organisations who regularly hire our Main Hall to request their support and financial assistance with this. the Co-Op Local Fund charity you support. you can either view (this website) / or contact myself by email at tccfinance@aol.co.uk or by phone on 0781 4089666.
call relating to a collapsed patient, the caller will be told of the location and the keycode to gain access to the defibrillator. The unit is "smart" and gives voice instructions, so any member of the public can use it. of ensuring that every group using the centre will include at least two trained personnel. The training is currently being organised. Jeremy Mills (Tarporley First Responder). 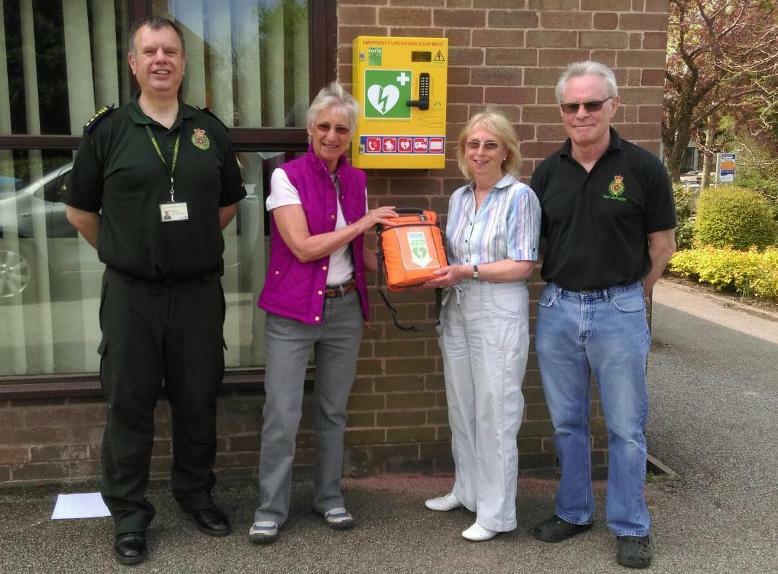 Linda has agreed to be the "Guardian" and Angela the "Deputy Guardian"
to routinely check the defibrillator and act as the liaison point with NWAS. Management Committee members Anita Langford, Judith Oates and Tony Yeates were also present at the handover. and to village electrician Brian Rathbone who installed the cabinet at short notice. 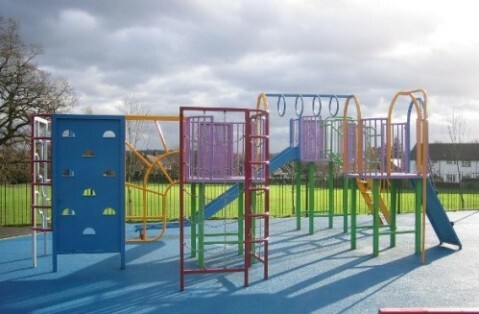 Outdoor facilities include a free car park (3 hour max) at the rear of the building, a fenced play area for children and a large field used for outdoor events including the annual Tarporley carnival, football and training. 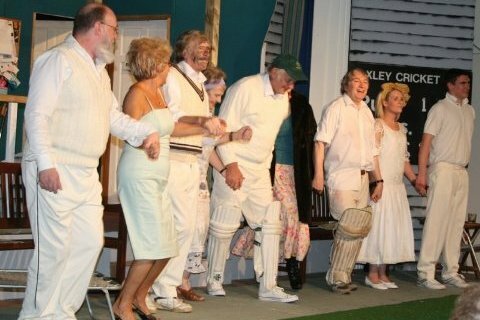 The large hall is used by many local groups, clubs and societies for such events as plays, film shows, fitness classes and private parties. The committee is always in need of more volunteers - if you would like to help by joining the committee or helping with ongoing projects, please email us at the address below. Tarporley is a village in the heart of rural Cheshire with a population of between 2500 and 3000 people. To learn more about the facilities and the extensive range of events which take place in the village, you may wish to visit the Parish Council website.